This Billings& Receivables unit was established in 1997 out of recognition of the need to manage and monitor receivables from students and other stakeholders to the University. The Unit is responsible for the billing and collection of revenue for the University as it pertains to the student and recovery of expenditure of funds for inter- and intra-departmental services and other commercial operations on the Mona campus. Beyond this primary role, our function is extended in terms of the impact we bring to enhancing the cash flow of the University. The departments in the recovery of funds for inter-departmental services and utilities. Our operations are fully aligned with the vision of the Bursary and we are always seeking ways to improve on the quality of work in the Unit. The information received from the various sections significantly impacts the processes of the Billings Unit. It helps staff members to carry out their duties as required in the function of the specific desk. There is an officer who is responsible for the Faculty of Medical Sciences. There is a separate officer with responsibility for the Self-Financing programmes. The refund officer is charged with the responsibility of processing these requests and also departmental awards for the Faculty of Science & Technology and Humanities & Education. Another officer collates reports and coordinates systems check and another loads SLB, scholarships and grant. The collections officer deals with other billings, that is, utilities and payment agencies. These systems allow for the timely dissemination of financial information that allows us to effectively monitor financial resources and offer sound advice. 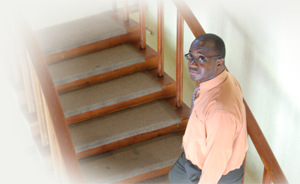 You can contact us at (876) 935-8884-9 or email Ruel Nelson - Manager at ruel.nelson@uwimona.edu.jm .